I can’t believe we are nearing a new year already, can you?! It’s almost Christmas, even nearer is Thanksgiving! And look, if you heard some kids caroling in Walmart last week, it was mine. Clearly, there is no shame in our Christmas time game. We ALL love Christmas! I know it’s only September, but those caroling goons got me thinking about how you guys are gonna be looking for all the pressure cooker Thanksgiving recipes, or maybe even Instant Pot Christmas recipes, and we’re ready to give you some of the best! We haven’t done many pressure cooker desserts. Unless you count this Sweet Instant Pot Honey Ham or our Pressure Cooker Chocolate Chip Banana Bread– those could definitely fill the void of your sweet tooth! But we’re throwing something new at ya today! 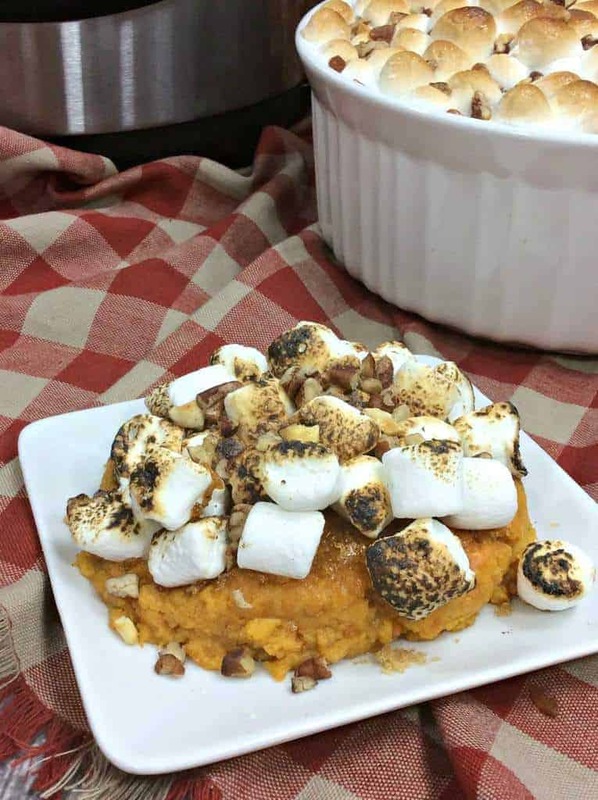 What about Instant Pot Sweet Potato Casserole? You heard that right. We’re taking this holiday staple and cooking right in our Magic Pot, taking the wait (and the heat) right out of our kitchens. By using your pressure cooker, you’re making room on the stove AND in the oven, to make more delicious goodies for your family! When I was a kid, I hated sweet potatoes. It wasn’t until I went Keto a few years ago that I learned to like them. No, they aren’t Keto friendly, but when I had a really severe sweet craving, or even a potato craving (totally a thing), I went with the sweets- better than a bowl of ice cream, right? You’ll love these Sweet and Spicy Sweet Potatoes! 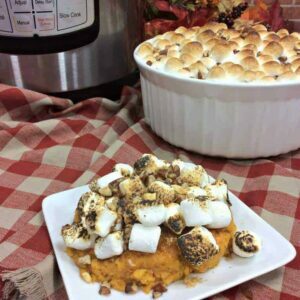 Whether you’re getting a jumpstart at creating your holiday menu, or if you’re just wanting some comfort food, you won’t regret adding Instant Pot Sweet Potato Casserole your Menu Plan! This southern staple is sure to be a show stopper at your party! 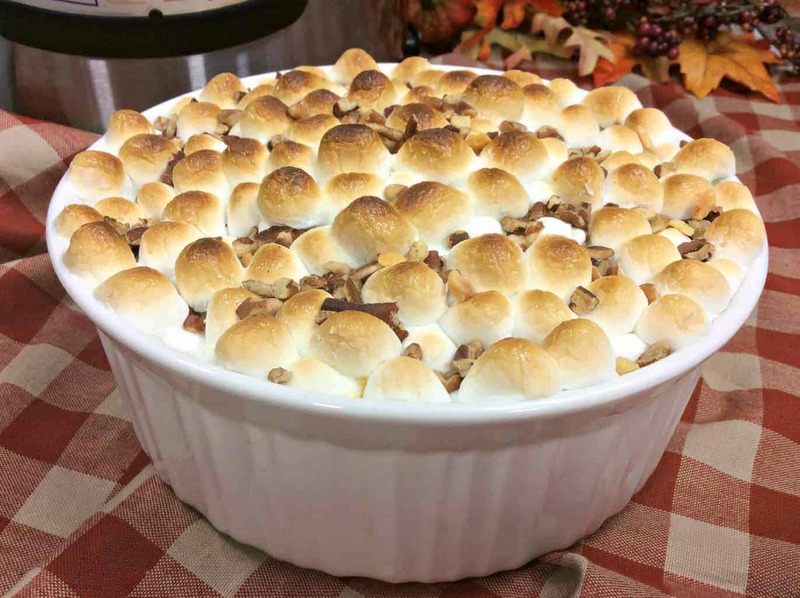 The sweetness of the potato, saltiness of the walnuts, the melty-ness of the marshmallows. 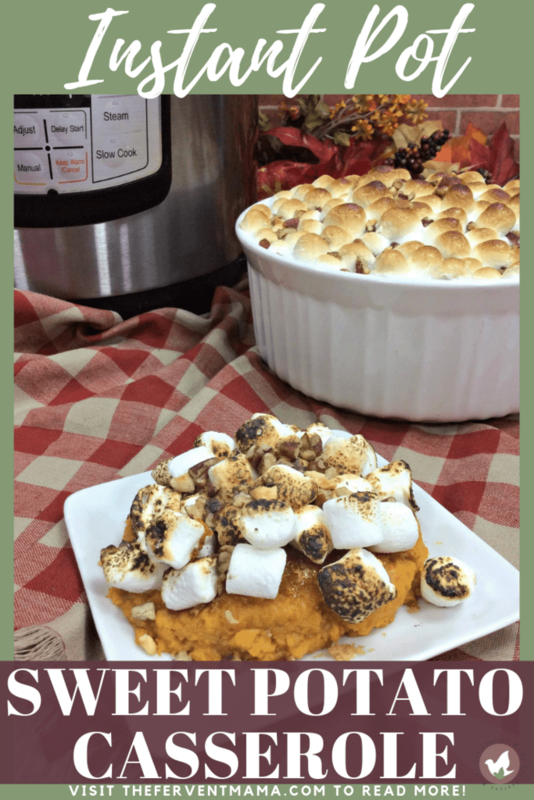 I'm drooling over this Instant Pot Sweet Potato Casserole right now. Do you enjoy making this southern classic for your family? I mean, what could be better than the sweetness of the potato, the saltiness of the walnuts, the melty-ness of the marshmallows. 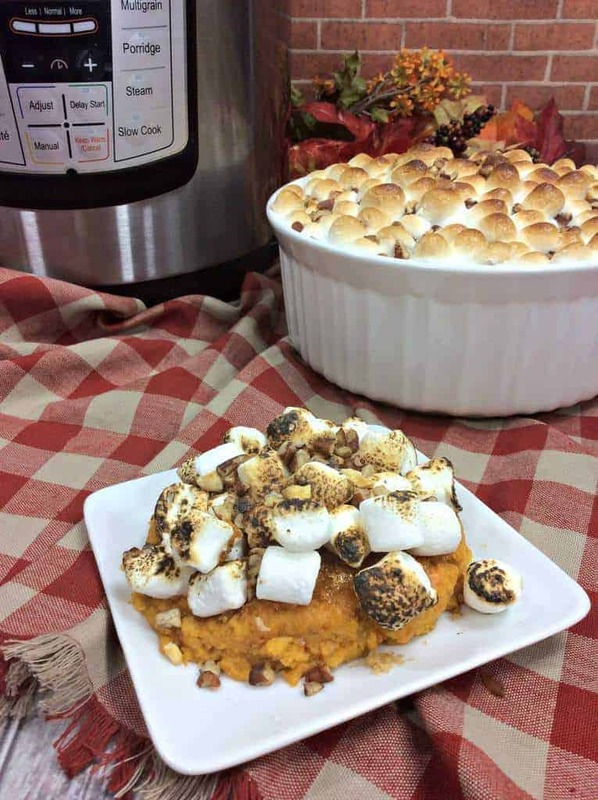 ERMAHGERSH, I’m literally drooling over this Instant Pot Sweet Potato Casserole right now. Aren’t you? Looking for a pressure cooking community? We’ve got just the place for you! We’d love for you to head over to Facebook and join Pressure Cooker Family Recipes. Where we share our favorite recipes, and you can too! Share your own recipes, ask questions to your heart’s content, and make friends for life! « Have you checked your baby’s gut health recently?